Hungarian doctors say they have successfully completed the second set of operations to separate two conjoined Bangladeshi twins. Two-and-a-half-year-old Rabia and Rukia are conjoined at the head and are known as craniopagus-type twins — a very rare phenomenon that occurs in about one in 2.5 million live births. Separating craniopagus twins requires extensive, highly-complex surgeries, made all the more difficult depending on whether the two babies share brain function as disconnecting shared vessels can create potential life-threatening complications. "The mortality rate is extremely high. 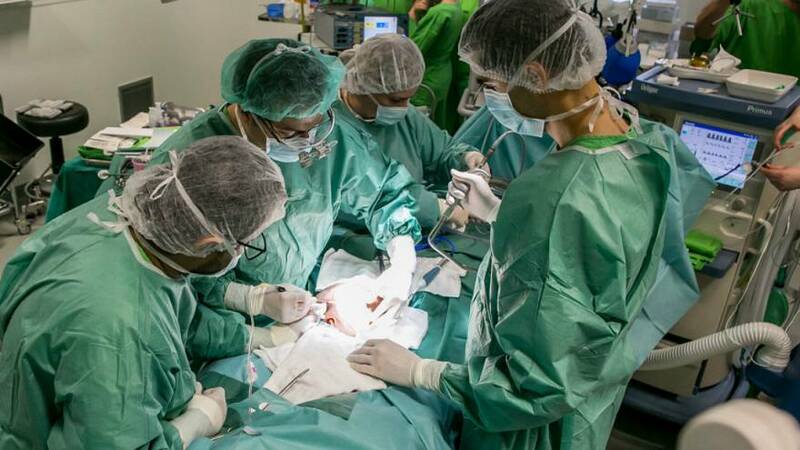 Based on the experiences of the last 100 years (of surgeries aiming to separate head-conjoined twins), it is well above 50%," Andras Csokay, the neurosurgeon involved in the case, explained. The process to separate Rabia and Rukia, led by Hungarian doctors through the Action for Defenceless People Foundation, began last year in the girls' native Bangladesh. There, they underwent two operations in February and August to separate the main sections of the large veins of the brains. They then travelled to Hungary earlier this year for the second phase of what has been dubbed "Operation Freedom." "During this procedure that we performed in Budapest, Hungary, we have implanted special custom-made expander implants under the skin and soft tissues of the conjoined babies," plastic surgeon Gergely Pataki explained. The aim is to grow a surplus amount of skin over the implants to enable surgeons to cover the girls' heads when they are separated. According to a statement from Budapest's Semmelweis University, the girls "are in good health and have been allowed to leave the clinic." Further tests will be carried out in the weeks to come with the procedure to separate them expected to happen this summer.